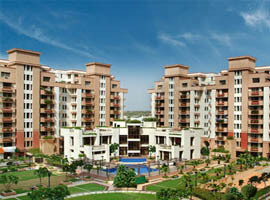 “RAHEJA VANYA” is one of the famous upcoming residential project in Gurgaon, Haryana. 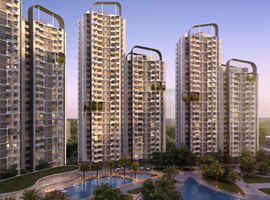 It is developed by a popular estate company “Raheja Developers Limited”. “RAHEJA VANYA” is deliberately situated in Sector 99A Gurgaon spread more than 12.5 acres of land contains development 5 towers and 744 Apartment. The tallness of towers is G+19 and G+38. Without precedent in history of India, “RAHEJA VANYA” is a venture with a Solar, Open and Green versus the Land proportion of practically more than 120%. Gulmohar, Amaltaas & Palash Towers are G+19 whereas Chandan Tower is G+34. It has 2,3 BHK available for sale. The project will be launched, constructed, & delivered towerwise /phasewise as per Real Estate Regulatory Act. Grand Entrance porch with AC waiting lounge. There are two Clubs – one on the Top floor & second is on ground Floor Sunken Club. The Sky Park – Top floor is dedicated for Open Air Yoga & Meditation, the longest elevated jogging track of the country, Beach with outside sitting, Kids play Area, outdoor Gym, Pergola & open Sitout, Central Square & Amphitheatre. Dedicated Area For Walking Track And Jogging Track, Gymnasium, Sauna & SPA & Meditation Area.